Huizemark is proud of its 50 year legacy of ethical service that stems from an unwavering demand for integrity, professionalism and client service. Our mission, based on our practical down-to-earth approach, is to build relationships with our agents and franchisees for mutual profit in a relaxed and motivating business environment - an environment which makes you feel "at home". Directors, Andre Hamman and Bryan Biehler, are both still active in daily real estate activities with their own teams of agents, thus keeping the finger on the pulse of the real estate market. Biehler believes the industry should be an equal opportunity environment, where all Property Professionals strive to cultivate an attitude of mutual respect and healthy co-operation, thereby enabling each and every member to achieve their personal and professional aspirations. His positive engagement in issues of transformation and training is key to taking the real estate profession to new heights. On-going and specialised training of agents ensures successful sales transactions and happy clients. Huizemark takes training to the next level by offering PDE workshops, NQF 4 and NQF 5 qualifications in-house to its agents and principals. The exceptional quality of Huizemark's Professionals is evident in recent national recognition, as Huizemark took home two winners' trophies in the distinguished FNB Property of the Year Awards 2011. "By owning a Huizemark franchise, there is an immediate connection - a sense of belonging - because our culture is straightforward, uncomplicated and we won't burden you with stringent reporting systems one so often sees in franchise operations. Our systems are geared to save you time and help you make more money!" says Biehler. 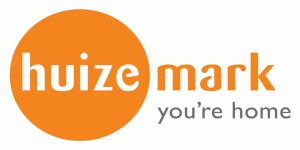 Huizemark has an exceptional offering for qualified, experienced Property Professionals with an entrepreneurial spirit to work independently, with the back-up and support of a strong national brand to increase their income. By using the Huizemark 'tried and tested recipe' for success, excellent business systems, easy-to-use documents and marketing templates Huizemark Agent-on-the-Go! Professionals can maximize their sales; earn 100% commission whilst all administrative processes are taken care of for a minimal fee. For 50 years Huizemark has maintained a reputation for service excellence and will continue to do so for many years to come.